The development of cutting edge cancer treatment that uses the immune system is hinged on a better understanding the tumor microenvironment (TME). 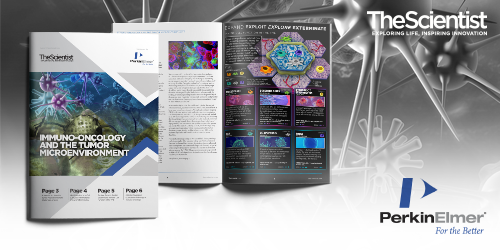 The TME provides valuable context for understanding what subtypes of immune cells are present and how to exploit their position and ultimately destroy the tumor cells. Immuno-oncologists are at the forefront of cancer treatment, but the field is evolving fast, and so it is imperative to stay sharp with the latest visualization and analysis techniques. This eBook was made possible by an educational grant from PerkinElmer.